Algiers, Algeria – “I am super happy and excited. We have won a battle. 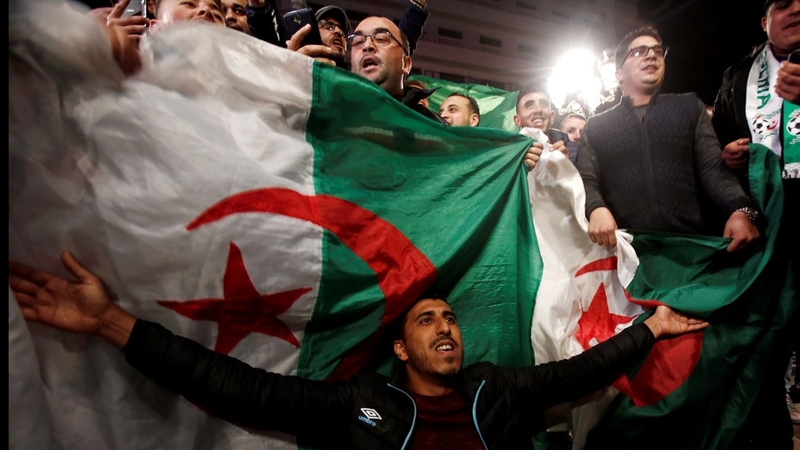 This will be a sleepless night”, Bilal, a 27-year-old carpenter, told Al Jazeera in downtown Algiers as he and thousands of other Algerians celebrated President Abdelaziz Bouteflika‘s resignation. Farida, a 23-year-old mathematics student, who was heading to central Algiers with her 3-year-old daughter, agreed. “We can be proud of ourselves, what we achieved is incredible,” Badis said, adding that, while cautious, he still feels optimistic. 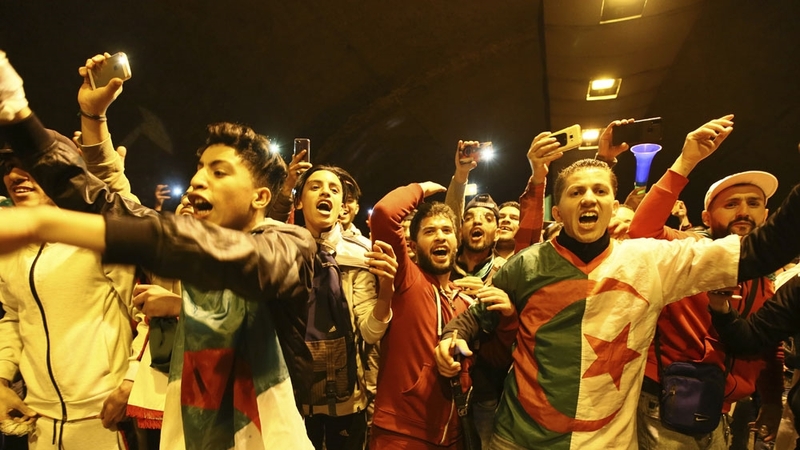 Nearby, a group of young Algerians, climbed on top of their stationary cars’ roofs, chanting La Casa Del Mouradia, a song written by Ouled El Bahdja, which has become the most popular anthem of the protest movement against Bouteflika’s administration. Meriem, a 63-year-old designer, who went to La Grande Poste, Algiers’ central post office with her family to celebrate Bouteflika’s resignation, appeared to be less enthusiastic. She looked at footage on her phone showing Bouteflika, dressed in a beige North African tunic, sitting in his wheelchair while handing his resignation letter to the head of the constitutional council, Tayeb Belaiz.